You will need to Authorise connection with Facebook. If you’re not already logged into Facebook you might also need to log in at this point. You then get a choice of posting links on your Facebook profile or any pages you administer. Click you’re choice and you’re set up. 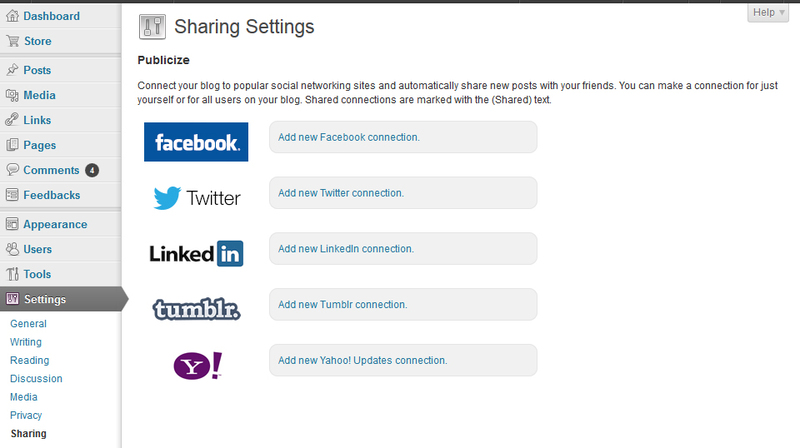 To connect to twitter, LinkedIn, tumblr or Yahoo updates you need to go through pretty much the same process. I’m hoping they’ll also be able to add a publicize button for Google+ soon too! Which social networks do you use for your blog? This entry was posted in Hints and Tips, WordPress and tagged blog, blogging, Facebook, google, LinkedIn, publicize, Tumblr, twitter, wordpress.